As one of the few pro-U.S. and pro-Israel voices in the field of Middle East studies, I find my views get frequently mangled by others in the field – thus I have had to post a 5,000-word document titled "Department of Corrections (of Others' Factual Mistakes about Me)" on my website. Usually, the precise evolution of such mistakes escapes me. Recently, however, I discovered just how one developed in three steps and confronted the two academics who made the errors. Their unwillingness to acknowledge their errors illustrates the mixture of incompetence and arrogance of Middle East studies as it is, unfortunately, too often practiced in the academy. 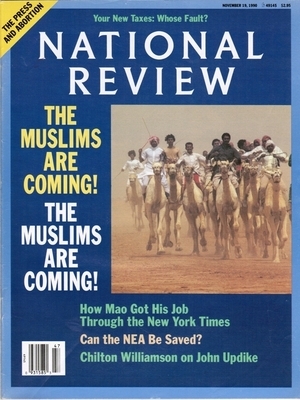 National Review, November 19, 1990. Despite such problems, I concluded, "none of this justifies seeing Muslims as the paramount enemy." The thesis that Middle Eastern societies are resistant to democratization had been a standard tenet of Orientalist thought for decades, but in the 1980s a new generation of Orientalists inverted some of the old assumptions and employed a new vocabulary which allowed them to link their work to a wider, international debate about the relationship between "civil society" and democratization. These updated arguments sought to prove not only – as neo-Orientalist Daniel Pipes put it – that "Muslim countries have the most terrorists and the fewest democracies in the world," but that they always would. Sadowski quoted my words accurately but turned their meaning upside-down; he transformed my rather prosaic observation of fact into part of a grand theory that I never enunciated – and which, for the record, I repudiate. Throughout my work, I stress mutability and change and argue against historical essentialism concerning Islam. I see the Muslim world as changing and avoid extrapolations from present-day circumstances to the future. I make a point not to say something will "always" be a certain way. Further, contrary to Sadowski, I hold that Islam and democracy are indeed compatible. 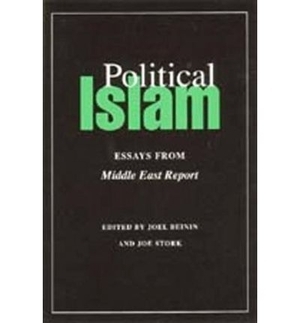 Joel Beinin of Stanford University and Joe Stork of the Middle East Report then gave the Sadowski article legs by reprinting it in their co-edited 1996 University of California Press book, Political Islam: Essays from Middle East Report; I am quoted on p. 34. The neo-orientalist school emerged in the aftermath of the Iranian revolution. It was an attempt to remove the anomaly in the orientalist approach that could not explain why a Muslim society rebelled against the Shah. … Orientalists as well as neo-orientalists, however, ignore any sort of modernity or novelty in Islamic societies in general and in the Iranian revolution in particular. Halabi went on to note that some analysts depicted Islamic movements as not just radical but also anti-Western and anti-modernist. One such writer Daniel Pipes, for example, depicts Muslims as "permanent" anti-democrats and terrorists. In his words: "Muslim countries [not only] have the most terrorists and the fewest democracies in the world, but that they always will." "In his words"? Hardly; I said nothing of the sort. Halabi changed my meaning by ascribing the word "permanent" to me, though it appeared nowhere in my essay; by adding two words in square brackets; and by falsely ascribing Sadowski's phrase to me. To complete the transformation, he even altered Sadowski's language, changing the final bolded word from "would" to "will." As with Sadowski's perversion of my sentence, I disavow the fictitious quote Halabi attributes to me. (1) Sadowski and Halabi turned my simple statement into the linchpin of their quite distinct generalizations about "Orientalism." (2) I wrote to each of Sadowski and Halabi, requesting a retraction and an apology. Sadowski did not respond. Halabi wrote back and justified his inaccuracy with a reference to post-modern subjectivity, with its convenient insouciance toward such concepts as truth and falsehood: "This is the way I understood and interpreted your article. When you write an article, you cannot control the way others interprete [sic] it." Such defiant subjectivity undermines the scholarly enterprise. (3) How to explain that two specialists hostile to my outlook each mangled my words? I see two possibilities: That they did so purposefully; or that bias colored their reading. I doubt they did so intentionally – no one wishes to be caught out and ridiculed for making errors. My hunch is that, in their eagerness to discredit someone whose approach differs from theirs, they read my analysis hastily and prejudicially, prompting the sequence of mistakes documented here. Such attitudes have contributed importantly to what Martin Kramer characterizes as "the failure of Middle Eastern studies in America."